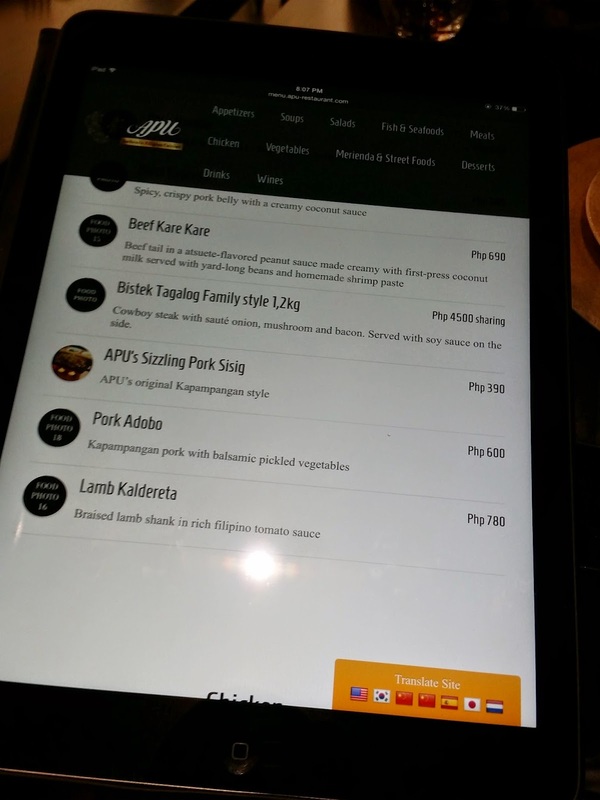 Apu is a new restaurant inside City of Dreams Manila. Apu, which takes its name from the Kapampangan word for "grandma," is a unique high-end Filipino restaurant that "offers elegant and contemporary fine dining in a truly exceptional setting." Through Apu, you can experience "authentic Filipino dishes prepared with seasonal offerings from the restaurant’s own farms and passionate local producers while you relax inside the magnificently styled City of Dreams complex". Apu is quite a spacious restaurant that is air-conditioned and dimly lit. It can accommodate about 80 to 100 people. It also boasts private dining areas with luxe furniture and decor. In terms of design, there's a lot of use of indigenous materials such as stone and wood. Their staff are knowledgeable about the menu and very accommodating too. Speaking of menu, it will be given to you through an iPad, which adds some cool factor. 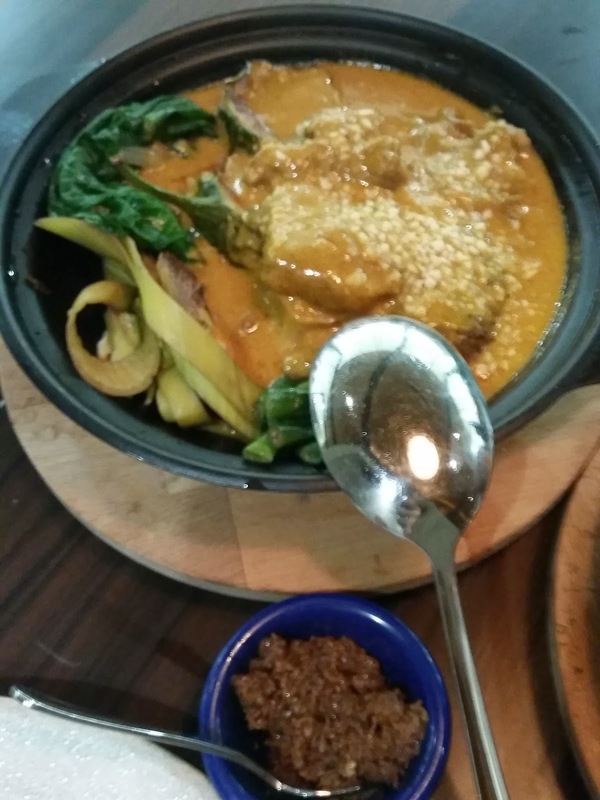 There is a lot to choose from their menu - from kare-kare to adobo to kaldereta, which are all Filipino favorites. In our case, we ordered pork sisig, pinakbet, and beef kare-kare. 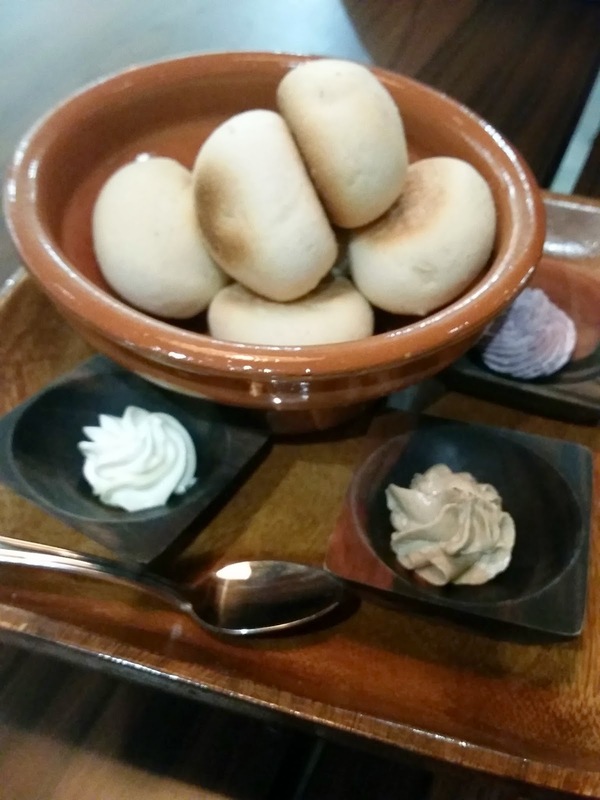 While waiting for our orders, we were served some hot bread and three dips. The purple dip is the yummiest. It is complimentary but considering their sky-high pricing, it's like we paid for them too. All three dishes we ordered tasted okay but nothing spectacular. 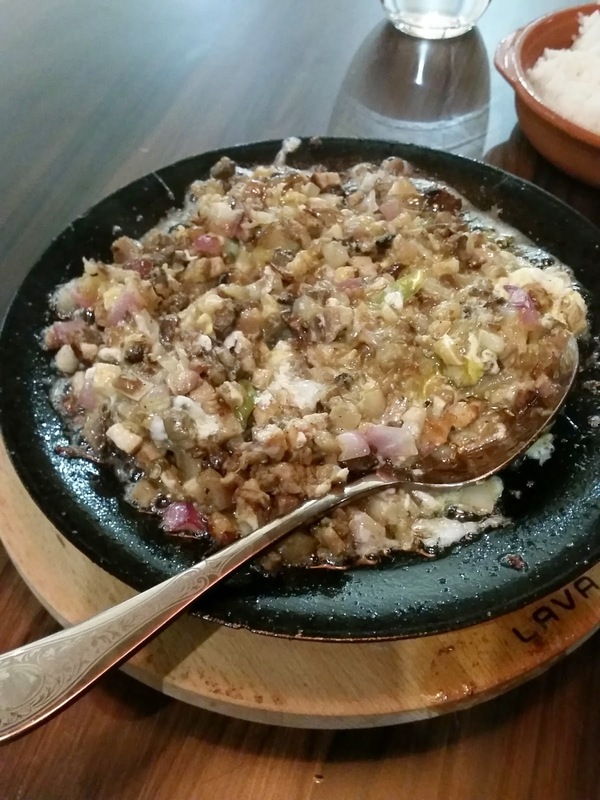 The sisig was a bit sour. 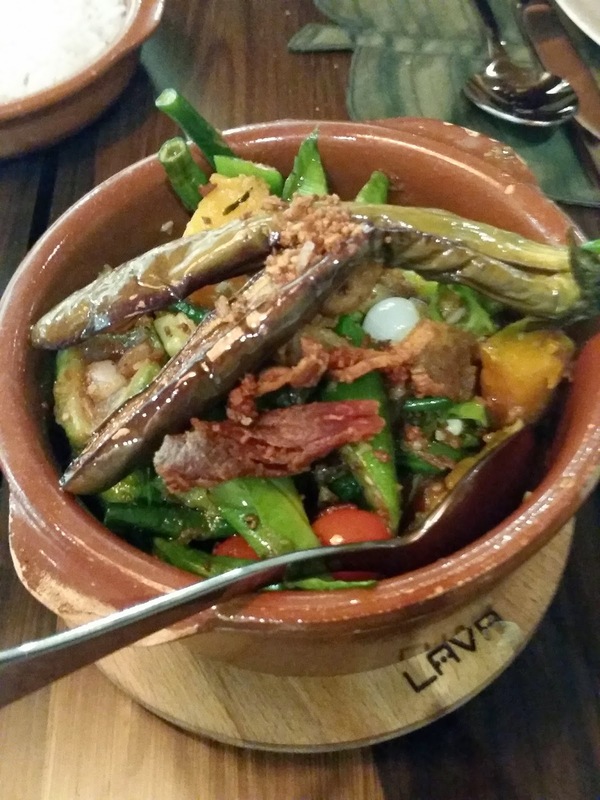 I've tasted better versions of their pinakbet and kare-kare somewhere else. The bagoong (shrimp paste) is good though. Serving size is a bit small considering they are pricey. 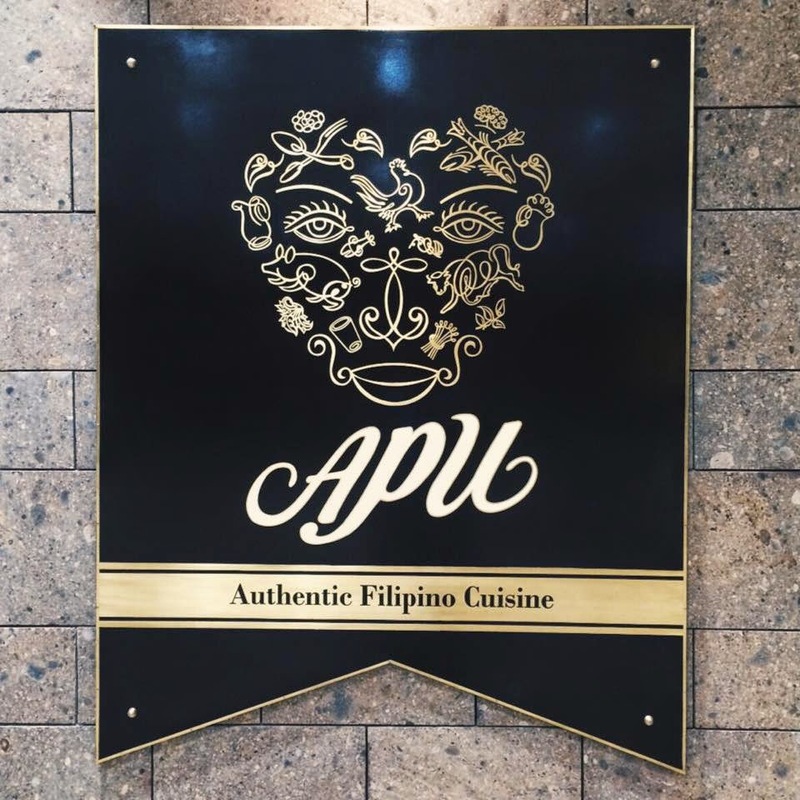 Apu is perfect for families and groups of friends who are into Filipino cuisine and are stuck in the City of Dreams Manila complex. Budget needed is about PhP700 per person on average. They accept reservations, walk-ins, and take-outs. Parking is available in the car park building of City of Dreams. Note: Apu did not pay me for this review.